Home Blog How important is finding a career that matches your strengths? How important is finding a career that matches your strengths? One of the most common ideas in career advice is that finding a good career is a matter of finding the role that uniquely matches who you are. You’ll be fantastic at the career that best matches you, and terrible at other careers, so the mission should be to find the career that’s the best match. We haven’t found much support for this idea so far. The most in-depth attempt to study “match” is Holland-types, but several meta-analyses have found no or only a very weak relationship between Holland-type match and performance (or job satisfaction). On the other hand, we’ve encountered some important general predictors of success. For instance, hundreds of studies have found that the smarter you are, the more likely you are to succeed in almost every career. With a general predictor like intelligence, more is always better – it’s not that it means you’ll do well in some jobs but worse in others depending on your “match”. However, a new line of research into “strengths” might shift the picture. There have been two attempts – the Virtues in Action (VIA) Signature Strengths test and Strengths Finder – to determine people’s character strengths, and study the importance of leading a career in line with them. We did a review of the literature to see whether we should incorporate them into our advice, which we summarise below. We found that strengths don’t seem especially useful for choosing a career in the first place; however, once you’re in a career, you’ll probably be a bit happier if you find ways to regularly use your strengths. Our recommendation: If you’re already in a job, then we’d recommend taking the VIA signature strengths test and finding more ways to use your strengths. Though because the evidence is still relatively weak, we wouldn’t make it a top priority. Take the VIA Signature Strengths test. Make a note of what your top five signature strengths are. At the start of each day, think of one new way in which you’ll use one of your signature strengths that day. At the end of each day, note down which strengths you used that day. Try redesigning your role so that you use your strengths more. See ideas of 340 ways to use signature strengths. For Strengths Finder we read the StrengthsFinder 2.0 book; took the assessment; read a technical report by Gallup which summarises the evidence for the assessment and did a search for more studies relating to it on google scholar. For the Virtues in Action Signature Strengths test we read the chapter on Strengths of Character and Work in the Oxford Handbook of Positive Psychology and Work, read two overviews of studies on signature strengths and followed up on the most relevant papers, and read two meta-analyses on positive psychology interventions. 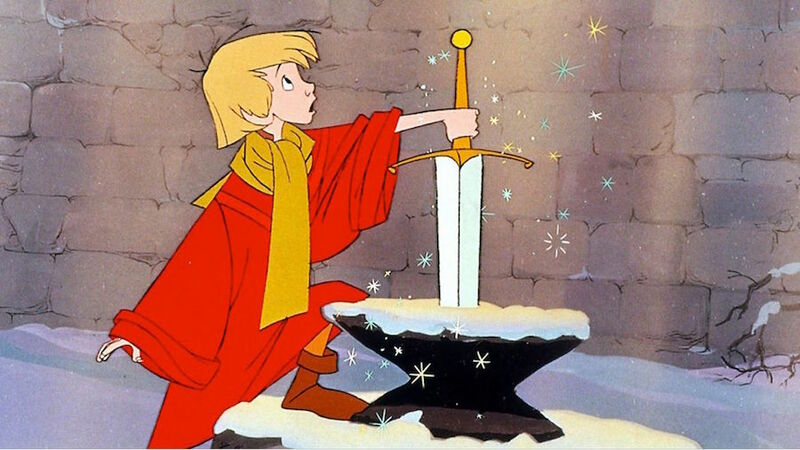 What is the Virtues in Action Signature Strengths test? What is Strengths Finder 2.0? Strengths Finder 2.0 is an assessment to identify people’s top strengths in the workplace. It was popularised in the book StrengthsFinder 2.0. It is an updated version of the original Clifton Strengths Finder assessment made by Gallup. How do Strengths Finder 2.0 and the VIA signature strengths test differ? Both are designed by psychologists (Clifton for Strengths Finder, Seligman and Peterson for the VIA Survey). Both assessments are tested for reliability (results are stable over time) and validity (they measure what you want them to). Strengths Finder 2.0 gives you personalised descriptions of your top 5 strengths (i.e. two people with the same strengths can get different text descriptions of their strengths depending on exactly how they answered questions on the assessment). 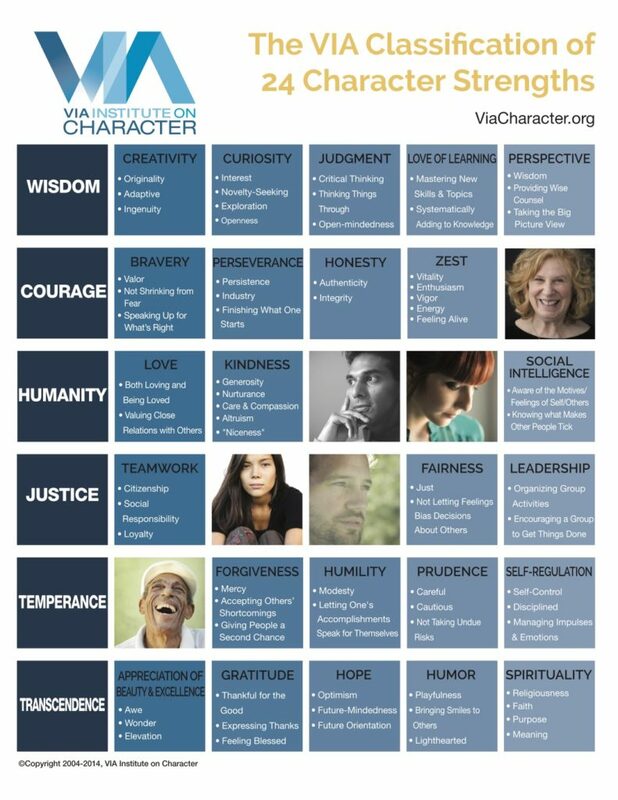 The VIA Survey gives the same descriptions of strengths for everyone. Both recommend using your top 5 strengths more. Both give recommendations of how to use your top strengths more. Strengths Finder 2.0 costs ~$15 to take, the VIA Survey is free. Using Strengths Finder 2.0 has been studied by Gallup and linked to increased employee engagement, productivity and profitability, as well as reduced turnover. The sample sizes are quite large, and there are a couple are experimental and quasi experimental studies with wait-list controls. However, most/all of these studies were sponsored by Gallup, so there’s likely to be bias there, and more importantly, it looks like none of the studies are published in peer reviewed journals.3 Because of this, we decided to focus the rest of our research on the VIA Signature Strengths test. The VIA Signature Strengths test has been studied by independent academic psychologists, and there are Randomised Controlled Trials (RCTs) that show using signature strengths in new ways (or monitoring one’s use of strengths) increases general happiness. What’s the evidence that the VIA Survey can be useful for (i) job satisfaction (ii) job performance? In sum, there is some evidence that using signature strengths at work is useful for job satisfaction and performance, but it’s relatively weak. Seligman, Martin EP, et al. “Positive psychology progress: empirical validation of interventions.” American psychologist 60.5 (2005): 410. Mongrain, Myriam, and Tracy Anselmo-Matthews. “Do positive psychology exercises work? A replication of Seligman et al. ().” Journal of clinical psychology 68.4 (2012). Gander, Fabian, et al. “Strength-based positive interventions: Further evidence for their potential in enhancing well-being and alleviating depression.” Journal of Happiness Studies 14.4 (2013): 1241-1259. Drozd, Filip, et al. “Better Days–A randomized controlled trial of an internet-based positive psychology intervention.” The Journal of Positive Psychology9.5 (2014): 377-388. Duan, Wenjie, et al. “Character strength-based intervention to promote satisfaction with life in the Chinese university context.” Journal of Happiness Studies 15.6 (2014): 1347-1361. …the quality of the studies was not high, and no study met all of our quality criteria. …there is a need for more high-quality studies, and more studies in diverse (clinical) populations and diverse intervention formats to know what works for whom. How relevant are signature strengths for career selection? From the evidence there so far, not very. There is possibly some weak evidence for jobs varying by how much they let you use different strengths in this paper, but we’re not sure if it actually just shows that some jobs are better in general (for everyone) for using strengths rather than better for some individuals. Should you take and apply the VIA signature strengths test? Yes – it’ll probably make you a bit happier. The evidence is still weak, but it’s an intuitive idea and doesn’t cost much, so seems worth doing, if not as a top priority. It’s especially worth doing if you’re already in a job, since signature strengths are not helpful for career selection.